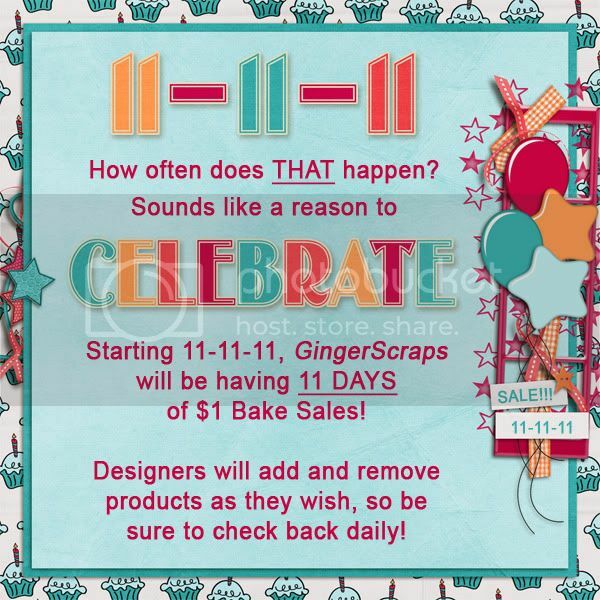 Happy 11/11/11! Man those are a lot of 1’s! Since this is a once in a lifetime event we here at GingerScraps decided we want to celebrate in a HUGE way. For the next 11 days we are having a GIGANTIC $1 Bake Sale. Each day our designers will be adding and subtracting (sorry for the math terms) products. You can’t get better than that! Here are some other great things our designers have going on. 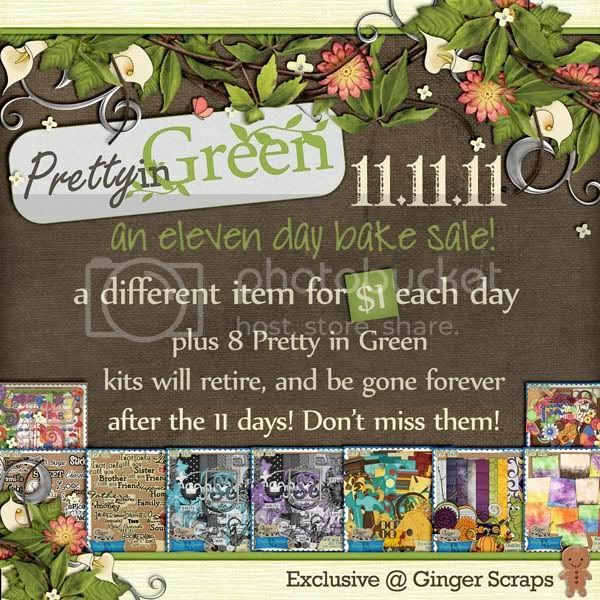 The best part about this is when you spend $10 (I mean that is 10 products in the $1 Bake Sale!) 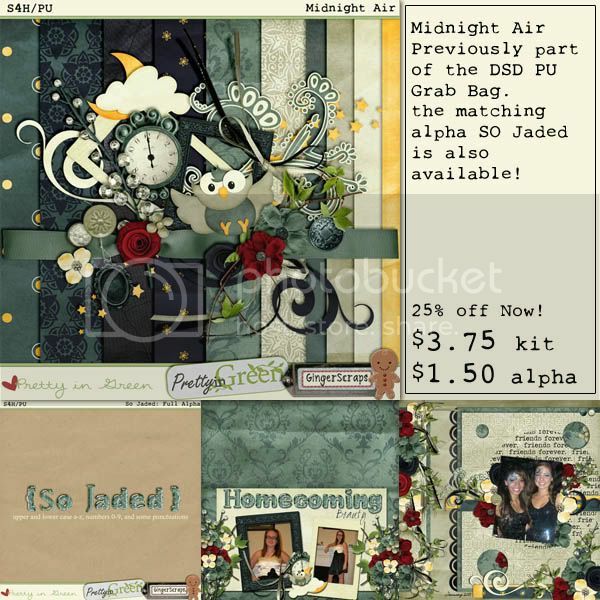 you get a free grab bag by Statements by Jodi! Here are some of the other goodies that come out today! There you have it! Remember to keep checking back at our $1 sale to make sure you can get the most bang for your buck! If that isn’t enough excitement for you… how about this sale? 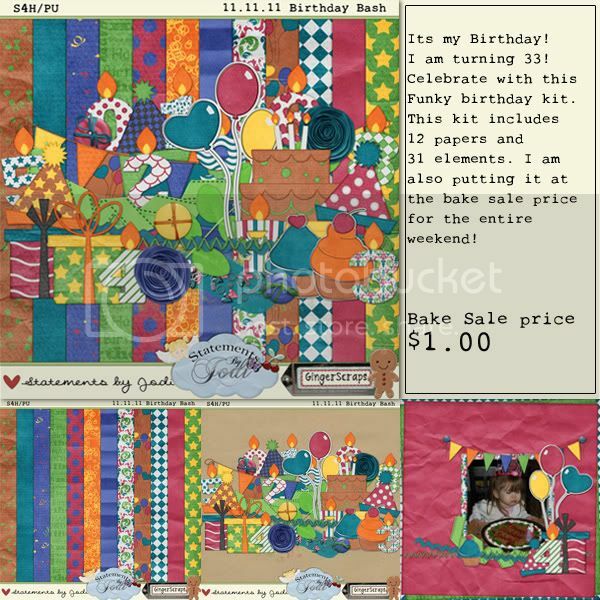 We are also having a speed scrap tonight hosted by Marie of Marie H Designs at 9pm EST. Hope to see you there! Have a great day and hope to see you around the forum this weekend! PS. Don’t forget to thank a veteran today for their service. 11-11-11 is Veteran’s Day.